The voting was held in both states, following an acrimonious campaign, where both the main political parties indulged in no-holds-barred attacks on each other. 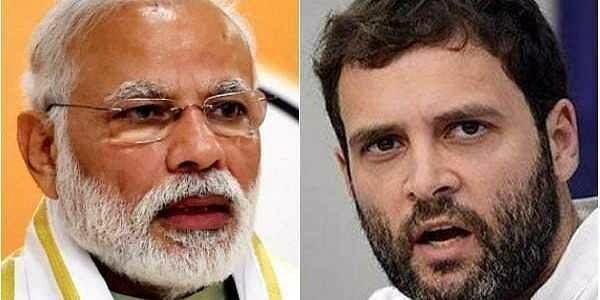 AHMEDABAD/SHIMLA: Counting of votes will be held today for the Gujarat and Himachal Pradesh Assembly polls, considered a prestige battle for Prime Minister Narendra Modi in his home state Gujarat and a litmus test for new Congress president Rahul Gandhi. In Gujarat, while the BJP is seeking a sixth straight term in office, the Congress is aiming to stage a comeback in power after being in the opposition for over two decades. The much-awaited results of the keenly fought elections will be announced today when the counting of votes will be held at 37 centres across the state's 33 districts, amidst tight security. The voting was held in both states, following an acrimonious campaign, where both the main political parties indulged in no-holds-barred attacks on each others. The influential Patidar community, which accounts for around 12 per cent of the state's population, could prove to be the 'X factor' in the polls in which Patel pledged support to the Congress and appealed to people to "uproot the BJP" this time. Meanwhile, the fate of 337 candidates including Chief Minister Virbhadra Singh and his predecessor Prem Kumar Dhumal will be known today as counting of votes is taken up in Himachal Pradesh where traditional rivals BJP and Congress have contested all 68 seats The hill state witnessed a record 75.28 per cent turnout and pollsters have predicted a BJP victory.